A self-described ‘‘redneck from the Cove that likes to run’’ someday will apply to dentistry school and fulfill his longtime goal. In the meantime, Brian Sell will settle for being an Olympian. Sell qualified for the 2008 Olympics in Beijing, China, by finishing third in the marathon at the U.S. Olympic Team Trials in New York City on Nov. 3. Sell, a Northern Bedford and St. Francis graduate, is only the second Olympian ever from the Mirror’s coverage area. He has the adulation of the first, Maureen (Latterner) Brown, a member of the U.S. handball team in the 1988 Olympics in Seoul, South Korea. The feeling isn’t one Sell always gave people. ‘‘Nobody knew he had this kind of potential,’’ former St. Francis teammate Art Remilliard said. Sell never even knew, until the 2004 U.S. Trials in Birmingham, Ala. An unknown on the national stage at the time, Sell began establishing his pedigree by leading the 26.2-mile race through the first 21 miles before hitting a wall. He finished 13th that day. ‘‘Ever since then, I’ve seen the Olympics as a possibility,’’ Sell said. His crowning achievement came on a bittersweet day in the country’s largest city. The marathon through New York City began at 7:30 a.m. No more than 15 minutes after finishing the race and qualifying for the Olympics, Sell learned of the death of Ryan Shay, another American vying for a spot on the team. Shay had collapsed about 5 1/2 miles into the race and was pronounced dead at 8:46 a.m., according to New York City Police. Sell learned of the tragedy from Dathan Ritzenhein, who finished second in the marathon, as he made his way to his first of many press conferences. Sell continued to be whisked away to press conferences and other ceremonies well into the afternoon. At 2:45, he made an appearance at a party that his sponsor, the Hansons-Brooks Distance Project, threw on his behalf. The Olympian walked into a room of nearly 400 people with his wife, Sarah, 15 minutes before the bash was scheduled to end. Doyle, a groomsman at Sell’s wedding and former Red Flash teammate, caravanned to New York City with several of Sell’s college buddies. Teammates from Canada, Oklahoma and Alaska all converged to watch Sell, whom Doyle called the fan favorite. Sell presented his friends with VIP passes for his sponsor’s party. Sell left the restaurant on 83rd Street and later crashed at his hotel with his wife. Sell will begin preparations for ‘‘the biggest marathon in the world’’ by training in Florida for a week or two to adjust to the heat. First, though, is a 30-kilometer race in Japan in February, followed by a 25-kilometer race in Grand Rapids, Mich., in May. Sell won’t initiate a training regimen specifically for the 2008 Olympics until June, two months before the Games. The concept of relaxing is foreign to Sell. Terry Bennett, St. Francis’ longtime trainer, said asking Sell to cut back was like taking oxygen away from him. If the coaches wanted Sell to run 80 miles in a week, Sell ran 90. If the coaches asked for 90, Sell would increase the workload to 100. Sell transferred to St. Francis in 1998 after going to Messiah College out of high school and took the Red Flash program to an elite level. The track and field team cracked the Top 25 in the fall of 2000, and another one of Sell’s teams finished third at the Mid-Atlantic Regional Championships, beating programs like Penn State and Princeton. Sell remains grounded despite his accomplishments. Following Shay’s death, Sell remarked he’d give up his spot on the Olympic team in a second if it would bring Shay back. The excellence is something Brown can relate to thanks to her Olympic experience. Sell will experience the feeling first hand in August in Beijing. His wife will be there, and it’s likely a few of his college teammates and coaches will make the trip to follow one of the country’s top marathoners. Interesting perspective from the Onion. I am extremely excited to officially announce that we have hired John Russell as the new manager of the Pittsburgh Pirates. John's hiring is another significant step in the process of changing the culture of this organization to a culture of pride, passion and excellence. Throughout the process it became clear that John was the top choice to lead our ballclub. His positive energy, intense passion for the game and strong managerial experience set him apart from every other potential candidate we considered. John has been extremely successful getting the most out of his players in his 10-plus years of managing. During his Minor League managing career, John was a two-time Manager-of-the-Year and twice selected by Baseball America as a top managerial prospect. John is a great teacher of the game, an exhaustive communicator and tireless worker. He will hold himself, the coaching staff and our players accountable for being the most prepared and hardest working club in Major League Baseball. He will ensure that our players continue to improve at the Major League level and play with the pride and passion we, and you the fans, expect of them. He brings a focused intensity to the managerial role and to our clubhouse. I am extremely confident in John and his abilities to manage our ballclub and instill in our players the sense of pride they should take in playing for the Pittsburgh Pirates. He shares our vision of how we will return the Pirates to a consistent winner. Thank you for your continued support of the Pittsburgh Pirates. Every once in a while, something happens in sports that reminds us all why we care about games even in times when it would seem games really don't matter very much. A moment like that took place Saturday on one of college football's most hallowed fields. Only this time, the home team was the victim. The heroes were the visitors. Those were the kids from Navy — young men who will never play in the NFL but may very well fight in Iraq very soon — who somehow found a way to beat Notre Dame 46-44 in three overtimes in a football game as remarkable as anyone is likely to ever see. Navy and Notre Dame play football against one another every fall. Quite literally, this is the most one-sided rivalry in football history. Prior to Saturday, Navy hadn't beaten Notre Dame for 43 years. The last time Navy won, John F. Kennedy was president, Vietnam was just a place in southeast Asia, and Roger Staubach was Navy's quaterback. There are good reasons why Notre Dame dominates Navy. It has more football tradition than anyone, from George Gipp and Knute Rockne (win one for the Gipper) to the fight song and touchdown Jesus. It has its own TV network — NBC pays millions of dollars a year to televise all Notre Dame home games — and more money than it knows what to do with. There isn't a football player born who doesn't at least think about playing at Notre Dame. The Irish don't recruit players; they select them. Not so Navy — especially now, when coach Paul Johnson has to answer questions in recruits' homes about how likely it is that someone's son might have to go to war if he plays football at Navy. Navy is four years of a hard life: It is academically stringent and militarily difficult, and no corners are cut for football players. If you graduate, your reward is five years in the Navy or the Marine Corps. Most of Navy's players are smart, tough kids too small or too slow to be recruited by Notre Dame or other big-time schools. They are kids like Zerbin Singleton, who scored the first touchdown Saturday. He's an aerospace engineering major who wants to be an astronaut. As a kid, he watched a bounty hunter shoot and arrest his mother; was injured by a drunken driver in a car accident; and was told by coaches at Georgia Tech that, at 5 feet, 6 inches and 174 pounds, he was just too small to play college football. He transferred to Navy, and on Saturday, he helped beat Notre Dame. Navy's team is full of kids like Singleton: Reggie Campbell, the 5-foot-6-inch offensive captain who scored the winning points Saturday; Brad Wimsatt, who hopes to follow his two brothers into the Marines as a pilot; Kaiponoa Kahayaku-Enhada, the quarterback who spent the entire afternoon urging the Notre Dame crowd to get louder because he so loved being part of a game like this one. There simply is no way Navy can beat Notre Dame. There are too many obstacles — size, speed, strenth, money, referees — to overcome. On Saturday, an extraordinary group of young men proved that if you believe enough and care enough and absolutely refuse to ever give up, you can overcome just about anything. If that's not inspiring, I don't know what is. That's why sports is worth caring about — because at its best, it can inspire us all. He felt insulted. He felt unappreciated. He won't even set foot in Yankee Stadium anytime soon, not even to clean out his office. "I walked out of there, I'm not going back," he said. "I just leave the memories." A day after he turned down a one-year contract, convinced the team no longer was committed to him after 12 seasons and four World Series titles, he went out his way — grateful, yet defiant; respectful but hurt. He didn't say goodbye in Yankee Stadium. Instead, he spoke for 67 minutes — one minute for each year of his life — in a hotel ballroom near his home in suburban New York, close to the Connecticut border. There was no Yankees logo, just a simple desk — appropriately draped in black — and a velvet background in the team's navy blue. He was coming off a $19.2 million, three-year contract that earned him $7.5 million this season, double what any other manager made. When he heard the offer — $5 million for next year and the chance to earn $3 million more in bonuses — he knew the team's management wanted him to walk. "The incentives, to me, I took as an insult," Torre said, according to the Record of New Jersey. General manager Brian Cashman informed him of the proposal on Wednesday night, and Torre traveled from his home to the team's Legends Field spring training complex in Tampa, the following morning to meet with 77-year-old owner George Steinbrenner, his two sons, team president Randy Levine, Cashman and others. "Are you going down to make a deal or say goodbye?" Cashman said on the flight. "I really don't know," Torre replied. Turned out, the meeting lasted just 20 minutes. "It was just mentioned and dismissed real quickly," Torre said. "And at that point in time I realized that it was either the offer or nothing. So at that point is when I said goodbye." So long to the pinstripes. Farewell to the most exciting years of his baseball life. Torre has spent his managerial career looking in players' eyes and reading their minds. It wasn't hard for him to figure out the Yankees' offer was one they hoped he would refuse. New York doles out multimillion-dollar deals to busts such as Carl Pavano, Kei Igawa and Kyle Farnsworth. The Yankees routinely tell players they have a policy against including bonuses in contracts. "The fact that somebody is reducing your salary is just telling me they're not satisfied with what you're doing," Torre said. "Two years certainly, I think, would have opened the door to have further discussion but it never happened. "There really was no negotiation involved. I was hoping there would be. But there wasn't," he added. Following the team's third straight first-round elimination from the playoffs on Oct. 8, Torre waited to hear from the Yankees. With each passing day, he knew the likelihood of him staying on dwindled that much more. "If somebody wants you to do a job, if it takes them two weeks to figure out, yeah, I guess we should do or we want do this, then you're a little suspicious," he said. "If somebody wanted me to manage here, I'd be managing here." His family stood and watched from the side of the ballroom. His voice trembled at times. When he saw several hundred media assembled, he was taken aback. "You got to be kidding," he said when he walked into the room. Since the end of the season, his house had been staked out, O.J. style. Reporters were on the edge of his lawn, cameras everywhere. "The worst part about the helicopters is they showed I had a bald spot," he said. Torre made the playoffs in each of his 12 seasons with the Yankees, won 10 AL East titles, yet that wasn't good enough. He had spoiled Yankees' fans, spoiled Steinbrenner & Sons, by winning the World Series four times in his first five years. He hadn't won it since 2000 and hadn't even been there since 2003. No other major league team has made the playoffs even two years in a row right now. As Torre spoke, Boston manager Terry Francona wanted to stay in his office at Fenway Park and watch. "It's unbelievable that — it's almost like The Bronx is Burning," Francona said. "You're watching something unfold that's just unbelievable." Torre couldn't fathom why the Yankees would offer a one-year deal tied to performance. "I've been there 12 years and I didn't think motivation was needed," he said. "I felt pretty well renewed every year going after something and we knew exactly what was expected here. So, I just didn't think it was the right thing for me. I didn't think it was the right thing for my players." As the owner has aged, he's allowed his sons to be part of the decision-making. Others, such as Levine and chief operating officer Lonn Trost, also have input. In the end, Torre had few allies. "I think Brian Cashman wanted me back," he said. He went to Florida to look at them face-to-face and didn't like what he saw. "There was no response other than, you know, they had a business to run and this is the way they felt it was best to do it," he said. Now, he'll think about going to horse races next summer, perhaps taking a trip to Wimbledon. If teams come to him with managing offers, he'll listen. Meantime, Don Mattingly, Joe Girardi and Tony Pena were asked Friday to interview with the club as possible replacements for Torre. "We're going to be interviewing maybe as many as five, six candidates, and we'll see how that goes," said son Hank Steinbrenner. "The job, there's been no real decision on that yet. They're going to be real interviews, and probably starting next week." A decision isn't expected to be announced until after the World Series. "I'm not sure if I'm in a position to recommend anybody. I just lost my job," Torre joked. "They've both been exposed to what goes on there. And if either one of those are offered the job and they say yes, they're certainly going in with their eyes wide open." Tony La Russa and Bobby Valentine also could be considered. The expectations will be the same: Win the World Series or else. "I'd like to believe that with a new manager, a new legacy starts," Torre said. "To expect a new manager to come in and right away get lucky like I did in '96 is a little unfair." His fondest memories are of the World Series titles. "Watching Charlie Hayes catch that popup, the magical year of '98 and to follow it up in '99 and beating the Mets in 2000, which I thought we needed to do that because even though the Mets could have been a better team than us, the Yankees could never lose to the Mets," said Torre, who began his managing career in Queens. "You have to be on both sides to understand how important that is. And I've been on both sides." He was asked how he felt about his decision when he got up Friday. Torre, as always, had the final laugh. "Which time when I woke up? You've got to realize you're 67 years old, you wake up a few times," he said. "I was very much at peace with my decision," he said. For the second straight season, but in far different fashion, Ohio State debuted at No.1 in the first Bowl Championship Series standings. Last year, Ohio State was the preseason No. 1 in the polls and stayed there until losing the BCS national title game to Florida. This year, Ohio State took advantage of several upset losses in the last three weeks to gain the top BCS spot. Ohio State earned a BCS average of .9416, followed by South Florida at .9200, Boston College at .8906. Louisiana State is fourth and Oklahoma is fifth. Ohio State began the season ranked No. 11 in the Associated Press, but rose to the top of the BCS this weekend after No. 1 Louisiana State and No. 2 California suffered defeats. South Florida is No. 3 behind Boston College in both human polls but earned the No. 2 spot by finishing No. 1 in the BCS computer component. The top Pacific 10 Conference has four teams ranked in the top 14, with Arizona State surprisingly leading the way at No. 8, followed by Oregon at No. 10. California, which figured to be No. 1 in the polls until it lost at home to Oregon State, is No. 12 in the BCS while USC is No. 14. The Trojans have a dismal BCS computer ranking of No. 23, the worst in the BCS top 14, but the Trojans have yet to play three schools ranked in the BCS top 12: Arizona State, Oregon and Cal. The BCS standings are a rankings calculation comprised of the USA Today Coaches' and Harris polls and the average of six computer indexes. The top two schools in the final BCS standings on Dec. 2 will play for the BCS national title on Jan. 7 in the Louisiana Superdome. The Associated Press poll, which started in 1936, can crown an independent champion. The AP, citing ethical concerns, pulled out of the BCS formula following the 2005 season and was replaced by the Harris poll. This is the 10th season of the controversial BCS system. It was created in 1998 as a rankings mechanism to pair No. 1 against No. 2 in a sport that has resisted a playoff format.Before 1998, the champions of the Pacific 10 and Big Ten conferences were contracted to play in the Rose Bowl. The formation of the BCS allowed those champions to be released to the title game if either was ranked No. 1 or No. 2. The BCS standings are also used to create major bowl access to schools from outside the six major conferences. In 2004, Utah of the Mountain West Conference earned a BCS bid by finishing No. 6 in the final standings and went on to complete an undefeated season by beating Pittsburgh in the Fiesta Bowl. Last year, Boise State of the Western Athletic Conference earned a bid to the Fiesta Bowl by finishing No. 8 in the BCS. This year, Hawaii is trying to become the latest "non-BCS" school to earn a berth. Hawaii will earn an automatic bid if it finishes No. 12 or higher or No. 16 or better if the champion of any of the six BCS conferences finishes lower. Hawaii debuted at No. 18 in the BCS, leaving the Warriors six spots below the coveted No. 12 position. A few quotes from Navy Coach Paul Johnson following his doube-overtime win over Pittsburgh on October 10, 2007. In a surprise pregame scoring opportunity, the Navy Midshipmen score on an unopposed play from the three yard line. Here the headlinesman, Tim Schlenvogt, signals the score as fullback Eric Kettani barrelled into the end zone untouched to put Navy on the scoreboard first. Unfortunately the play didn't stand and Navy had to score against an actual defense moments later following the kickoff. I am extremely excited to officially announce today that we have hired Neal Huntington as our new General Manager. After a comprehensive search for a baseball executive who can restore the culture of success within the Pirates organization, Neal is absolutely the right choice to lead our baseball operations department and to build a winning organization of which all Pirates fans can be proud. As you get to know Neal and hear from him personally, you will see that he is extremely intelligent, analytical and driven to succeed. Neal is highly regarded throughout the game as an outstanding evaluator of talent and as one of the young executives who understands and utilizes the most sophisticated statistical and analytical tools of the trade. Neal shares my vision on how to transform the Pirates into an organization that can consistently compete. Equally important, Neal knows how to implement the changes, systems and philosophies required to accomplish that goal. 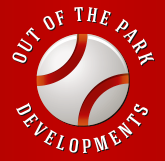 Neal has more than 16 years of professional baseball experience. He has spent each of the past 10 seasons working in numerous roles for the Cleveland Indians organization that is fresh off the heels of winning another division title. He was a key member of themanagement team that rebuilt the Indians into a consistent winner through the aggressive acquisition of young talent secured through the draft, the international market and trades. During his tenure with Cleveland, Huntington was a key member of the executive team that drafted 2007 Cy Young candidate C.C. Sabathia, signed international free agents Fausto Carmona, who has won 18 games this year, catcher Victor Martinez and infielder Jhonny Peralta. Cleveland also acquired outfielder Grady Sizemore and infielder Travis Hafner through trades during Huntington's tenure. His experience as a vital member of a strong baseball operations department in a winning organization will be critical as we move forward in building a similar culture of success here in Pittsburgh. His strong leadership skills, character, intelligence, commitment and broad experience convinced me that Neal is the right person to build and lead an outstanding baseball operations staff. As Bob Nutting stated today, this is an extremely important time of transition for the Pirates as he has taken orderly steps to building a culture of success and a culture of pride. I believe with Neal and myself now in place we will implement that vision of excellence and build an exciting ballclub that will make you, our fans, proud. Thank you for your continued support of the Pittsburgh Pirates. Navy (2-2) had a thrilling 46-43 win over Duke (1-3) at Navy Marine Corps Memorial Stadium. With just 38 seconds remaining in the game, Ketric Buffin picked off a Blue Devil pass at the Navy 18 and returned the INT 8 yards. QB Jarod Bryant then called his own number five times and rushed for 48 yards to set up Joey Bullen's 44 yard field goal with no time left on the clock. Army (1-3) fell to Boston College (4-0) 37-17 at Chestnut Hill. BC had 573 yards of total offense to Army's 259. Carson Williams completed 15 of 32 passes for 191 yards to lead the Black Knights. Air Force (3-1) lost to BYU (2-2) 31-6 in Provo. Chad Hall ran for 19 yards and caught six passes for 80 yards for the Falcons. His numbers couldn't counter BYU's Harvey Unga who had 112 yards rushing and 49 yards receiving on the afternoon. This week Air Force visits Annapolis to take on the Midshipmen in the first game of three that decides the Commander in Chief's trophy. Army will take on Temple (0-4) at Michie Stadium. The judge in the O.J. Simpson robbery case set bail at $125,000 at Las Vegas courtroom Wednesday morning. NEW ORLEANS – University of New Orleans outfielder Brandon Bowser and second baseman Johnny Giavotella have been named to the CoSIDA Academic All-District VI team, it was announced on Thursday. Bowser was a first-team district pick, making him eligible for the Academic All-America team, while Giavotella was a second-team selection. Bowser, a senior out of Roaring Spring, Pa., is a mechanical engineering major and sports a 3.86 GPA. On the field, Bowser is hitting .300 with five home runs and 31 RBIs. He has started 45 games and is third on the team with 50 runs scored. Giavotella, meanwhile, has a 3.5 GPA while majoring in accounting. He is one of the top hitters in the Sun Belt Conference, hitting .376 with 11 home runs and 52 RBIs. Earlier this season, the Jesuit graduate was named the top sophomore second baseman in the country according to Baseball America. The duo is two of six players from the Sun Belt named to an All-District team. To be nominated, the student-athlete must be a starter or important reserve with at least a 3.20 cumulative grade point average (on a 4.0 scale) for his career. No athlete is eligible until he has reached sophomore athletic and academic standing at his current institution (thus, true freshmen, red-shirt freshmen and ineligible transfers are not eligible). May 5, Cinco de Mayo, was my first chance to be part of the Curve experience in 2007. It didn’t take long to realize that the game against the Akron Aeros was just a part of that experience. The Curve, winners of the 2006 John H. Johnson President’s Trophy for Minor League Baseball’s top franchise, had a full slate of activities for the 5,124 fans in attendance. 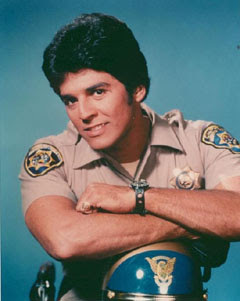 Erik Estrada, Ponch from the hit show CHiPs, made a celebrity appearance for the second straight year on Cinco de Mayo. The Curve endearingly titled the evening “Cinco de Estrada”. Estrada was the epitome of class as he spent hours last year signing autographs and having his picture taken with hundreds of fans long after the game had ended. Estrada enthusiastically shared his views on last year’s appearance. Next to former player Adam Hyzdu, Estrada may be one of the most appreciated celebrities to grace Blair County Ballpark. The game featured a highly touted pitching match-up. The Aeros sent #22 prospect Aaron Laffey from Cumberland, MD to the mound against Yoslan Herrera. Herrera is a Cuban defector and the #4 prospect for the Pirates according to Baseball America. The Curve also have three other top six prospects on their roster – Andrew McCutchen (#1), Neil Walker (#2), and Steven Pearce (#6). Now is definitely the time to visit Altoona. It’s rare to have this many top prospects at one level of minor league baseball and they all may not be here together for too long. Unfortunately, the Curve fell to the Aeros 5-1 and dropped to below the .500 mark for the season, 12-13. ST. LOUIS – He’s been telling it like it is for 42 years as a coach, always unflinchingly honest and direct, a breath of fresh air. So, no, there was no reason to expect anything to change now that Royce Waltman’s bumbled dismissal was humiliatingly public. Waltman has been fired as the head coach of Indiana State and that probably means little to most college hoops fans. It should mean more. This is a coach’s coach, the kind of guy you’d send your kid to play for and learn from in a heartbeat, just the way parents in Indiana had for decades. This is the kind of leader college basketball likes to pretend all of their coaches are like, when in truth, so few are. He had been a high school coach, a Bob Knight assistant at IU, a small college champion and finally the guy who resurrected Indiana State from its depressing post-Larry Bird era and returned the Sycamores to a couple of NCAA tournaments earlier this decade. But as the Missouri Valley grew, ISU stumbled and that, Waltman said, was on him. No excuses, not now, not ever. Indiana State had fallen off in recent years, so the school had little choice. But make no mistake, college basketball is a poorer place without this guy, the grandfatherly teacher. 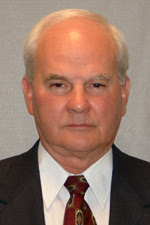 The way the school’s Board of Trustees decided to fire him a week ago and then let it become the worst kept secret in Terre Haute was an unfortunate way to end it. “Well, don’t take this as a bitter comment because I am not one bit bitter but the administration handled this with the deft touch of a 20-mule team,” Waltman laughed. Waltman was disappointed Friday and worried about the future. For over four decades he’s had a team to concern himself with; a group of young men to teach and now, well, who knows? He can’t imagine a winter without a team. But now, at 65, and coming off this disappointment, he knows he might be done – no matter his 599 career victories at the college and high school level. That’s always been Waltman’s way, take no prisoners. Don’t get the idea that this press conference was a final rant against an unfair system. Waltman spent as much time cracking jokes as anything. College hoops can only hope he hooks on somewhere as an assistant. He was a victim of his own success in many ways. When he took over in 1997, the Sycamores had suffered through 17 consecutive non-winning seasons. He immediately got them to 16-11 and then into the 2000 and 2001 NCAA tournaments. But he couldn’t maintain it and Waltman says that’s on him. ISU will go younger, for sure, and will probably find a more polished, supposedly more exciting coach.